This ACF Center Flow hopper is painted mineral red and lettered in white. The large circle cross herald is also white. The model is completely assembled and equipped with etched metal roof walks and MicroTrains® trucks and couplers. They come fully assembled with etched metal roofwalks and Micro-Trains® trucks and couplers. These 2 bay hoppers are painted dark green with yellow lettering. These cars have a 2,980 Cu. Ft. capacity and are primarily used for hauling cement. They come fully assembled with etched metal roofwalks and Micro-Trains® trucks and couplers. This ACF Center Flow hopper is painted gray and lettered in black with the flying Rio Grande herald. The model is completely assembled and equipped with etched metal roof walks and MicroTrains® trucks and couplers. This ACF Center Flow hopper is painted gray and lettered in black with the Missouri Pacific screaming eagle herald. The model is completely assembled and equipped with etched metal roof walks and MicroTrains® trucks and couplers. 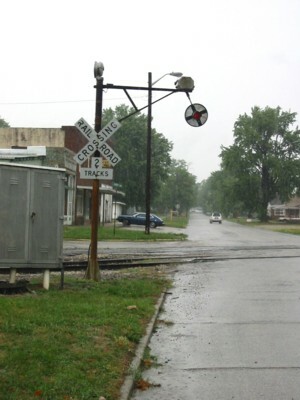 This ACF Center Flow hopper is painted gray and lettered in black with the Missouri Pacific Buzz-Saw and Texas Pacific reporting marks. The model is completely assembled and equipped with etched metal roof walks and MicroTrains® trucks and couplers. -07 / 706081 -08 / 706094 . This new ACF Center Flow hopper is painted gray and lettered in black for the FRISCO. The model is completely assembled and equipped with etched metal roof walks and MicroTrains® trucks and couplers. -06 - ? -07 - ? -08 - ? -09 - ? -10 - ? -11 - ? -13 - ? -14 - ? -15 - ? These hoppers are painted gray with black lettering for Southern Pacific. They come fully assembled with etched metal roofwalks and Micro-Trains® trucks and couplers. -01 - ? -02 - ? -03 - ? -04 - ? -05 - ? -06 -? This ACF Center Flow hopper is painted gray and lettered in black. The Montana Rail Link logo is printed in red and blue to the upper left of the side. The model is completely assembled and equipped with etched metal roof walks and MicroTrains® trucks and couplers. 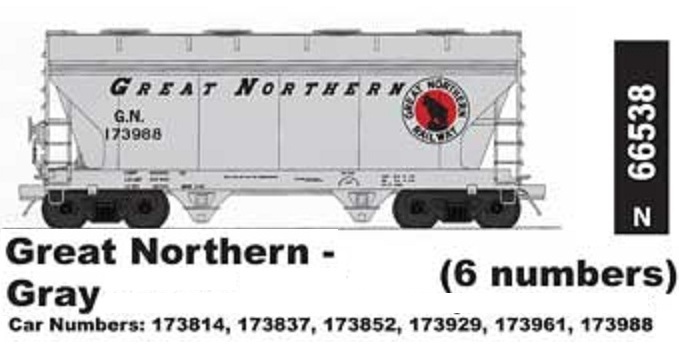 These 2 bay hopper cars are painted for Norfolk Southern with a gray body and black logo and lettering. They come fully assembled with etched metal roofwalks and Micro-Trains® trucks and couplers.